The Mi Mix 2 is now official with enhanced features such as a bezel-less 18:9 Display and Four-Sided curved ceramic body. As for the rest of the story that has been leaked in various forms over the past weeks, this is what we are looking at. So, we have a "new era of smartphone design." With the Mi Mix 2, you get a 5.99″ Full-vision display, Qualcomm Snapdragon 835 processor, 6GB RAM, 64GB/128GB/256GB storage, 12MP Sony IMX386 Camera sensor with 4-axis OIS, 3400mAh battery with Quick Charge 3.0 and Android Nougat based MIUI 9 OS. There's a Special Edition Mi Mix 2 which comes with an unibody ceramic body and 8GB RAM + 128 GB Internal Storage. What else new, though? 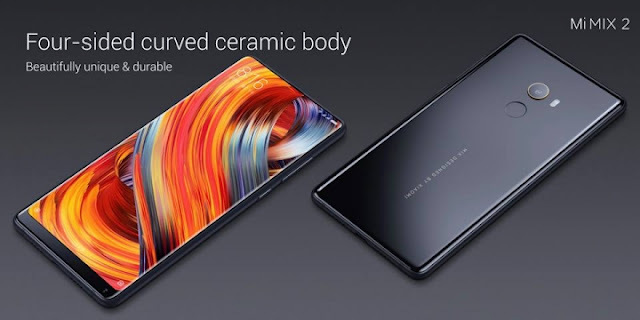 You get 18K Gold plated Camera Rim, Hidden Speaker, Ultrasonic Proximity sensor, and 12% Smaller chin as compared to Mi Mix (1st Gen) with Front facing shooter. The device will be available in 6 modes supporting 43 bands, and will be offered in a rich color palette. Mi MIX 2 price starting at RMB 3299 (32,000 INR/506$) for 6/64GB model, RMB 3599 for 6/128GB model, RMB 3999 for 6/256GB model. 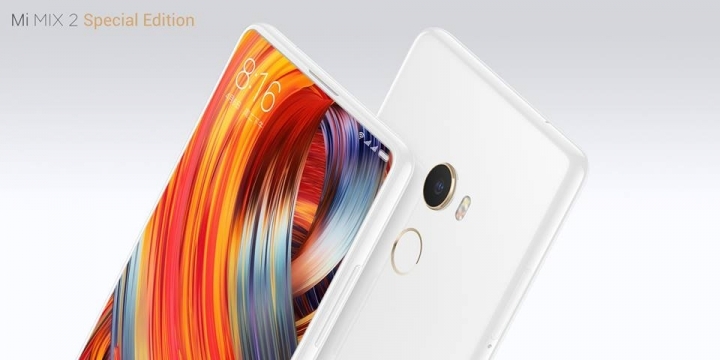 The Special Edition Mi Mix 2 costs RMB 4699 (46,000 INR/$721).